We’ve talked about the best side hustle ideas in traditional jobs. Making extra cash on the side is one of the best ways to get out ahead and a lot easier than cutting from an already tight budget. Now I’m revealing the best online side hustles you can start in just a few hours each week to make thousands a month. Not only do these jobs pay more than others, you get the flexibility to work anywhere and control your financial future. We got some great feedback in our prior video on the ten best side hustle ideas and you rocketed it to the most popular on the channel with more than three hundred thousand views. I love the ten job ideas but they were mostly those traditional side hustles offline. 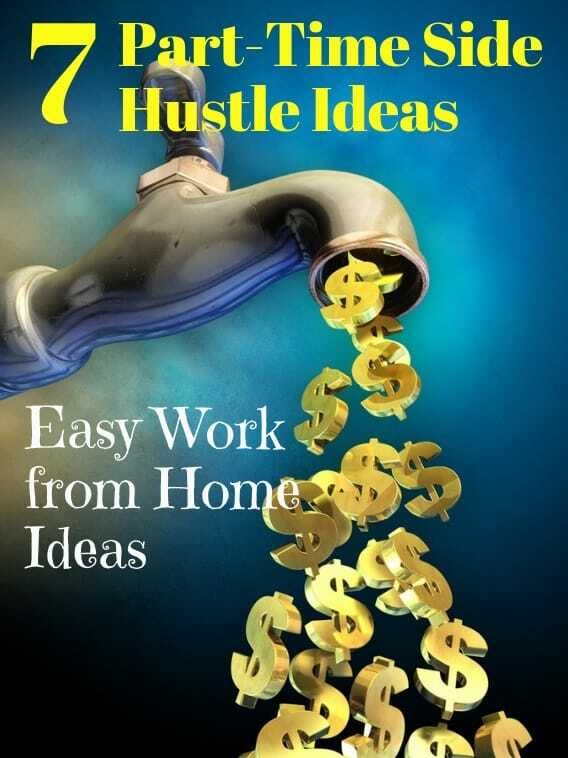 The 21st century is a connected world though so I wanted to come back to reveal my seven best ideas for online side hustles. Not only will these side gigs make you a lot of money, they can also make you money from anywhere in the world and around the clock. I’ll detail each of these, how to get started and how much you can expect to make. Then, I’m going to share three secrets to making money online that will help you be successful no matter which you choose so make sure you stick around for that. Our first few online side jobs not only offer the opportunity to make six-figures but are growing faster than any traditional job. The first here is social media manager, helping others manage their business profiles across Instagram, Twitter, Facebook and other sites. That’s where you come in as a social media manager. Understand managing someone’s social media pages is more than Tweeting out your words of wisdom a few times a day. You’ll spend a few hours a week planning the marketing strategy depending on your clients’ goals and will need to brush up on your graphic design skills. You’ll have to organize when to send out updates to keep followers engaged and how to best promote your client on each different platform. Do it right though and you can make a solid paycheck from anywhere with an internet connection. Glassdoor reports the average salary for a social media manager is just under $60,000 with some making as much as $85,000 a year. You can outreach and email potential clients but I’ve found the best place to grow your social manager business is at conferences. These are where the bloggers, vloggers and other influencers go when they’re serious about growing their business and they’re always looking for help. Must Watch! Check out these three passive income business ideas for six-figure income. Our next online side hustle is one I’ve hired several times for my own business, a broker for social media influencers or bloggers. One of the biggest sources of income for bloggers or social media influencers is sponsorships deals. Just like professional athletes, brands will pay anyone with an online reach to promote their product or service. Even on a small channel like mine, I can get $500 a video to talk about a company and that’s chicken feed compared to some. Kim Kardashian reportedly charges $250,000 to mention a company’s product to her 122 million Instagram followers. But my passion isn’t spending my entire day looking for these partnerships. I love researching and talking about investing and making money, that’s what I do. Instead of spending all my time trying to find sponsors to keep the channel running, I can hire someone to do it, to act as a broker. Working as an online broker or agent, you’ll do a lot of the same things a traditional agent would do. You’ll keep a list of companies looking to promote their brand online as well as how much they’re willing to pay. You’ll work closely with online influencers and clients to best reach these brand sponsors, how to promote the brand in an ethical way. You’ll then act as a negotiator to get the best deal possible for your client. 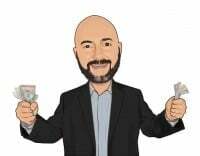 Most of the online brokers I know work on a fee plus commission basis. Newer agents might work on commission only, taking a percentage of the sponsorship deal but it won’t take long before you can charge a few hundred a month as a retainer fee as well. The commission you earn on sponsorships is generally between 20% to 30% but might be lower to represent someone that can pull in the really high-dollar sponsors. The great part about this job is that you can represent multiple clients and get deals from the same sponsors for each so you don’t necessarily need a huge list to start making a lot of money. Represent just five clients, each charging about $500 for a sponsorship and getting six and eight a month, and you’re already over $4,000 a month in commissions plus your base fee. Just as with that social media manager, your best bet finding both clients and sponsors here is to go to conferences in your niche. You can also just check out the webpages of conferences to see who sponsored the event, there’s a good chance they’d be open to sponsoring your clients if they have a strong online following. Number three on our list of online side jobs is as an outreach agent for bloggers and influencers. Now I know this is sounding a little redundant but there’s an entire industry of jobs out there servicing the booming online media world. Basically, any job that exists in the traditional offline media industry, there’s an opportunity to take it online. Unless your last name is Kardashian or you used to be a WWE superstar, the way you grow your online influence is through reaching out to bloggers, websites in your niche and other media. By getting your name or an interview on these other websites, you get the chance to grow your following on social media or blog traffic. Just like the sponsor agent, I could spend all day doing this myself but it’s not where my skills are and honestly…I can’t stand doing it. In fact, I’ve been working with an agent for three months that helps book me on podcasts for $350 a month. The job of an outreach agent is going to be similar to the sponsor broker though maybe a little easier. You’re not asking other bloggers or website owners to give up anything, just granting your client a space on their site. You’ll compile and organize a list of websites within your clients’ niche that are looking for guest posts and interviews. You’ll send outreach emails to make an introduction between your client and the target, talking up your client’s expertise and influence. Finally, you’ll work with your client to get them scheduled for an interview or submit an article to the website. There are actually two jobs you can do here, one is the influencer and brand-building outreach we’ve talked about. The other is search engine optimization or SEO outreach where you’re trying to get links from a website pointing to your client’s website. Google search traffic is usually the biggest source for most websites and this kind of SEO link-building is the best way to boost that search ranking. It’s a whole different set of skills but the basic tasks are the same as the influencer outreach. Since you’re not bringing in revenue like with the sponsor agent, this one is usually billed as a flat rate per month. Like I mentioned, I pay someone $350 a month to outreach for podcast interviews and I’ve paid others as much as $900 a month for SEO outreach. Podcasters are always looking for people to interview so you don’t need a huge list to do outreach for several clients. In fact, these last two online side jobs are great for someone that just wants to spend five or ten hours a week making extra money. In just five hours a week, you can send out your outreach emails to introduce clients, maybe spend some time looking for new clients or websites needing guests and do all your booking. An outreach agent can easily handle a couple dozen clients. Even at just a few hundred a month from each and you’re making several grand on a part-time job. Besides connecting with people at conferences, Facebook groups can also be a great way to find clients as an outreach agent. Any group centered around blogging, vlogging or influencers is going to be a steady stream of people that need help getting their message out and growing their brand. Our next digital side hustler is as a freelance writer. This is where a lot of bloggers get started, in fact where I started in 2011. 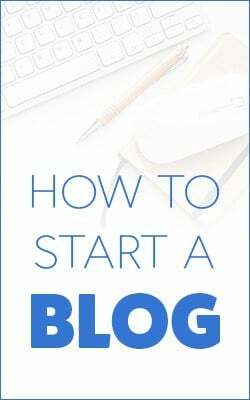 Blogging and other online businesses just don’t make much money to start so freelance writing for others is a great way to build your skill set and start making money immediately. Freelance writing really isn’t as hard as it sounds. Everything you read online including articles, news and the longer research had to be written by someone. As a freelance writer, you’ll reach out to bloggers and websites to get contracts. This might mean writing single articles or recurring contracts for work every week. You’ll work with the client on ideas for articles and the style of writing they like for their site. Besides the general writing, you’ll also need to incorporate promotions for the client’s products or services within the article. Now I’d say this one takes a little more practice to get good at and you probably won’t start out at the highest rates. A good way to get started is to take an inexpensive writing course on Udemy where you can find video courses for just $15. Glassdoor lists the average salary for freelance writers at $42,000 with reports as high as $100,000 a year. A lot of these online jobs don’t have a lot of salary information and I can tell you that there’s a huge range in what you’ll make. For writers, you’ll usually charge per project and will make between $50 to a thousand or more for a 1,000-word article. Finding clients as a freelancer writer can be frustrating at first. You can check out some of the freelancer sites like Upwork where people post projects for freelancers to bid. You’ll be able to bid on writing projects but you’ll be competing with a lot of writers from around the world and willing to make a lot less. 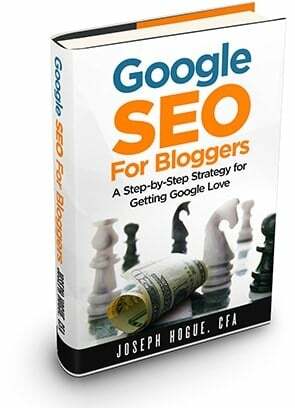 You’ll have better success reaching out directly to people in blogger groups on Facebook or writing sites like problogger.com. It won’t take long to build a reputation for quality writing and referral work will start to come in from past clients. 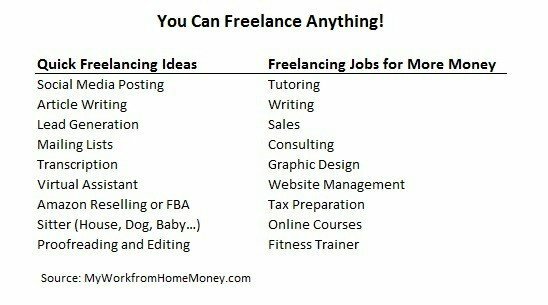 Freelance writing is a great side hustle to do while developing other streams of income like self-publishing and blogging. I worked as a freelance writer for years until 2016 when income from other sources grew large enough to pay the bills. You’ll get really fast and efficient writing in a short time and can start pumping out the books and freelance articles and still only be working part-time. Number five on our list of digital jobs is related to that last one but more general, freelancing. The fact is, just about any traditional job can be a freelance job as well. Even some of those face-to-face jobs like nursing and accounting are starting to go online to remote workers. A good way to get ideas for what you can freelance is to go to sites like Upwork.com and browse the available jobs. Freelancing is really just another way of saying running your own business. You might even be doing the same thing you do at your traditional 9-to-5 but you’re doing it as an independent worker. The difference here is that you control how much you make and how much you work. Need a little extra money, you don’t have to ask your boss for a raise, you just find a couple more clients. Want to take an extra long vacation, you can do that too. There’s two types of jobs that are perfect for freelancers. One type is jobs that take a special skill set or experience. Those are going to pay the best, from $50 to $200 an hour and more, but you’ll need to build that expertise. The other type of freelancing job is the type of jobs that really aren’t that tough but people just don’t want to do them. These can include things like transcription, lead generation and customer service. You might only get paid $15 to $20 an hour but you can work from anywhere you have internet and it’s easier to get the jobs. Check out these seven part-time work from home jobs you can start this week. Those three secrets to online jobs are really going to come in handy on this one. I feel like freelancing is so broad that a lot of people miss out on the opportunity because they don’t know where to start so I’ll be talking about that in the three ways to be successful at the end of the video. Our sixth online side hustle is creating an online store to either sell with your website or through social media. Web platforms like Wix and Shopify have made it super-easy to start an ecommerce site and anyone can put a professional site together in less than an hour. Back before the housing bust, you had to know some coding to really develop a nice store but that’s no longer the case. There are a lot of options here on what you sell through your online store from your own merchandise to reselling things you find locally. They’ll be a higher profit margin on your own products but you’ll have to set up manufacturing and build a name for the brand. Selling consignment items or really anything you can find locally means lower margins but less risk as well. Let’s face it, online sales are where retail is going. Ecommerce sales are growing at double-digit rates and are still just a tenth of total retail sales. Shoppers spent over $5 billion online on Black Friday alone last year. The sooner you set up an online store and start getting in front of customers, the faster your income can grow to replace your full-time job. As easy as it is to set up an online store, the real work is in getting people to your store. Just like a traditional store needs a marketing plan, you need a plan to drive internet traffic to your website. This is usually done by combining your store with a blog where you write about the products or related topics. That’s going to rank you website in Google to bring traffic and customers to your store. Just one more digital side hustle until we get to those three secrets to make you successful in any online job, and this one is selling through Amazon FBA. This last one is similar to the idea of creating your own online store except with a very big difference, here the world’s largest ecommerce website is going to be doing a lot of the work for you. With Amazon FBA, you sell your own branded products through a page on the site. You source your products, usually through low-cost manufacturing in East Asia through a site like Alibaba. You arrange to get test samples shipped to you to make sure the quality is acceptable then contract to ship your product directly from the manufacturer to Amazon’s warehouses here in the U.S. The manufacturer will even put your labels on the product. Amazon charges FBA store owners a flat fee depending on the size of your product and a monthly inventory fee for using the warehouse. There’s also a seller fee that’s around 15% of the sales price on transactions. Even with these fees, I know FBA store owners that make six-figures on their stores. The trick is to specialize in a specific product or product type so you partner your store with a blog or some other way to send organic traffic. While I’ve seen people be successful on larger products, smaller and lighter is usually best. The FBA fee on something small and light like a T-shirt is less than four bucks and the shipping fees from your manufacturer are also going to be cheaper. Try selling even something the size of a baby cot around 10 pounds and you’re looking at triple the FBA fees and much higher shipping. With Amazon FBA as it was with online stores, it’s hard to say how much you can make but the opportunity is amazing. Unlike 20 or 30 years ago, you don’t need hundreds of thousands to start your own retail business. Now you can get all your brand design work, that first batch of a few thousand products and everything set up for less than $5,000 dollars. Think about that for a second. You can have your own line of blue jeans, a legitimate brand with marketing and a sales page on the worlds largest online store, for less than the cost of a used Toyota Corolla. Any one of these seven online side hustle jobs can be used to make a little extra cash or eventually even to replace your 9-to-5. Each are unique in how you set them up but now I want to reveal three secrets to making money online that will work no matter what you do. It’s these three points that are going to set you up for success and help you avoid some of the biggest mistakes new entrepreneurs make. The first is that you must treat it like a business. I don’t care if you’re planning on creating the next Facebook or if you’re selling the doilies you knit in your spare time. Organizing it like a business is not only going to save you money but will get you more sales and make everything less stressful. Next here is that you do need to start with a passion. A lot of these side hustles, except maybe freelancing, aren’t going to pay a lot immediately. They’re businesses like any other and you need to give them time to develop. 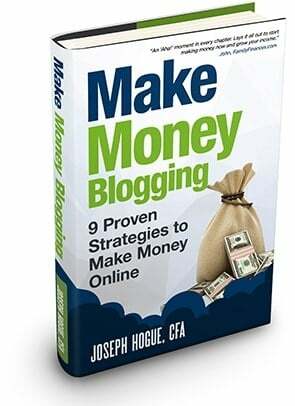 Without that instant motivation of making money, you need to be getting something else out of these whether its that drive of watching your online store grow or just being able to connect with other people in one of those agent jobs. Of course, the flip side to this is that when you do start making money on these jobs, it can be more than you every imagined possible. Not only will you be making more than you ever did at a traditional job, you’ll enjoy your work because it came from that passion project. Starting a side hustle job online doesn’t have to mean another 40 hours a week working. There are lots of side gigs you can do part-time and still make money. Start with something from the list or find another idea from something you love doing.